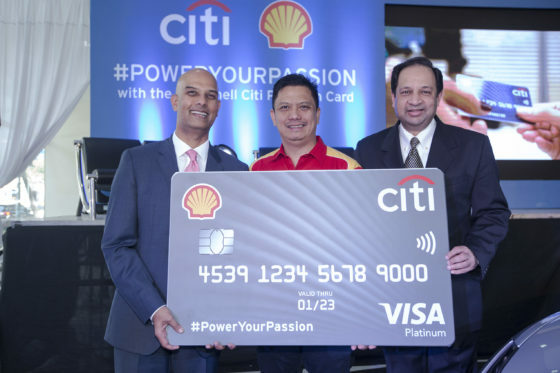 Globally respected brands Citi, Shell, and Visa recently came together to offer an exclusive credit card designed to provide unique benefits and privileges to its cardholders – the Shell Citi Platinum Visa card. 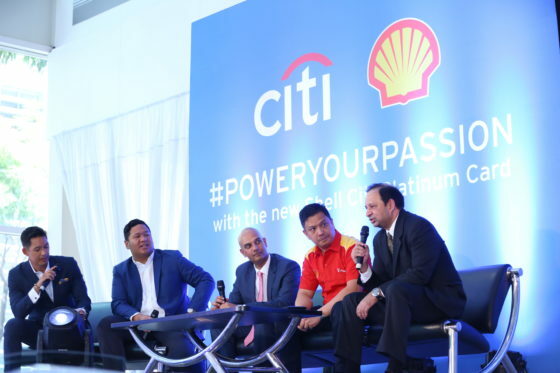 Shell has, as a matter of fact, been working in collaboration with Citi for over 20 years now. 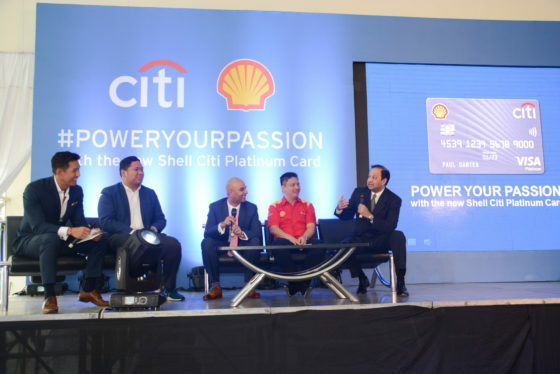 “We are elated to once again join our Citi partners to introduce this exclusive Shell Citi Platinum Visa as an acknowledgement of loyal fans and consumers around the country who keep challenging us to do better,” remarked Vice-President for Retail of Pilipinas Shell, Anthony Lawrence Yam, during a press conference that was held at Autostrada Motore, Inc. at The Wellington Center in BGC. 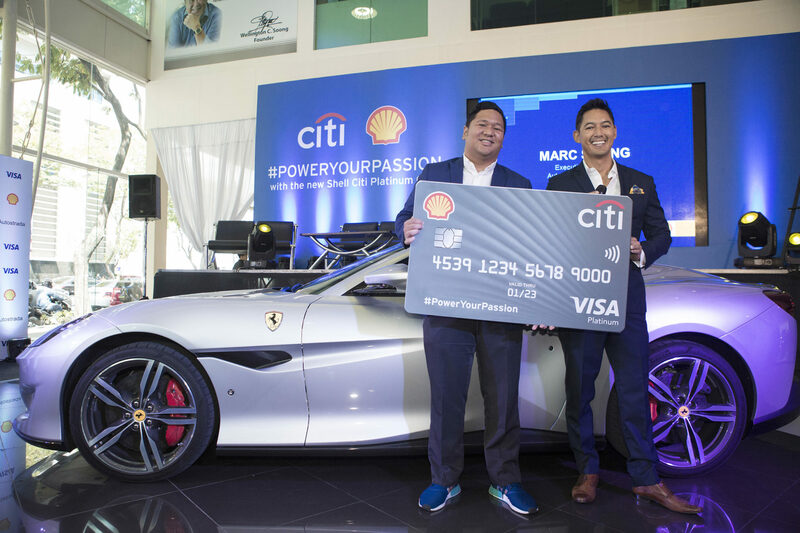 Ferrari Philippines President, Marc Soong, was also at the press event; and made a grand entrance by driving in to center stage in a Ferrari, while revealing a giant, mock Shell Citi Platinum Visa credit card positioned as his passenger in the rear. “All of us are driven to fuel our passion, whether for racing or for people. I am driven to share the Ferrari passion, but at the same time, I want a card that will meet my needs and any emergency I may encounter on the road,” explained Marc as he stepped down from his swanky, white Lusso on stage. 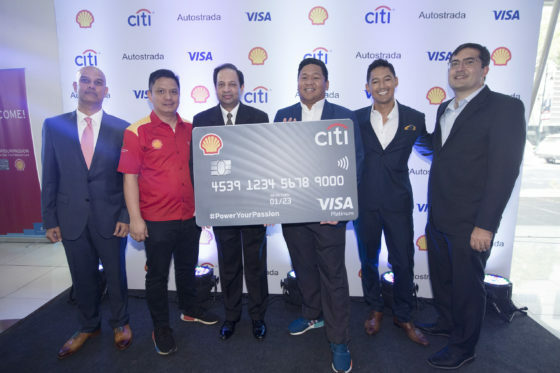 The new credit card extends its cardholders the benefit of free 24/7 emergency road assistance on top of savings of up to Php 15,000 every year in the form of rebates applied on the cardholder’s purchase of Shell fuels and qualified auto repairs, accessories, and services nationwide. The rebates are set at up to 5% of the qualified purchase, and can also be applied towards your NLEX and SLEX toll fees! Cardholders also enjoy an instant rebate of Php 300 on their first Shell fuel transaction upon their credit card’s approval. This is on top of a welcome rebate of Php 5,000 – which will be applied to the accounts of new cardholders who meet the minimum spend requirement within a specified period from the time they receive their card. The rebates accumulated on their credit card accounts can easily be redeemed to pay for Shell fuels in participating stations nationwide.